New York's iconic fashion scene has been forever-inspiring, datingback as far as the roaring twenties. 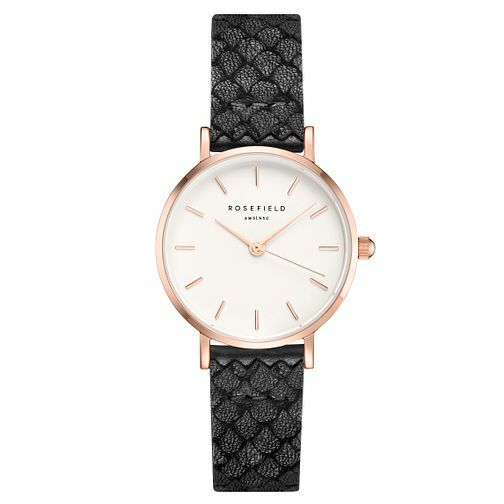 This 'new vintage' collectionpays homage to these timeless aesthetics with a 26mm case - thesmallest Rosefield timepiece yet. These watches are fitted with eithera mesh or leather strap, in different colours. Its smaller size anddetails - like the ultra-thin cases in silver, gold or rose gold - bringabout a vintage feeling, and result in a collection that is elegantand feminine.